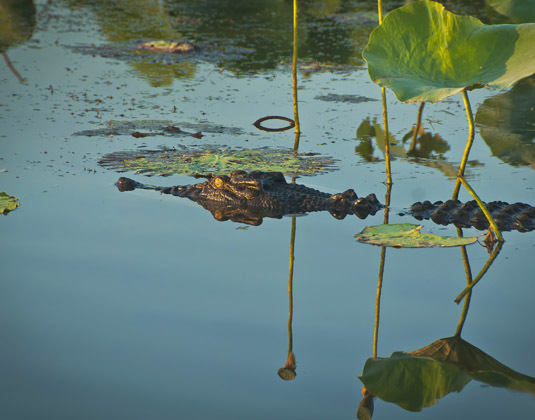 Day 1 Darwin/Kakadu National Park: Departing Darwin early this morning you will join the famous Jumping Crocodile Cruise, where your local guide will entice crocodiles to leap from the water. 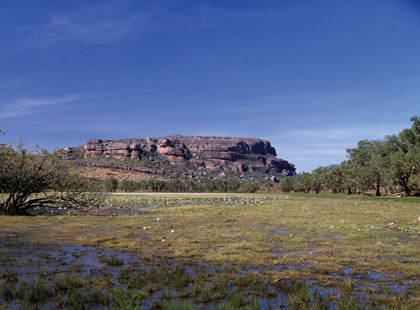 Continue into Kakadu National Park, whose diverse landscapes are home to a myriad of animals and hundreds of bird species. 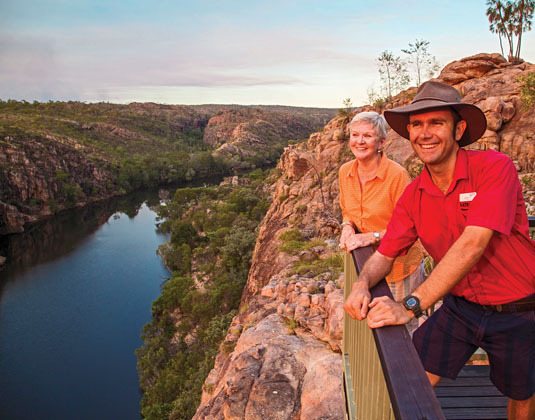 Stop at the Bowali Visitor Centre, then continue to Ubirr, where you'll climb up through the ancient Aboriginal rock art galleries to the lookout for a spectacular view over the surrounding floodplains, woodlands and rainforest. 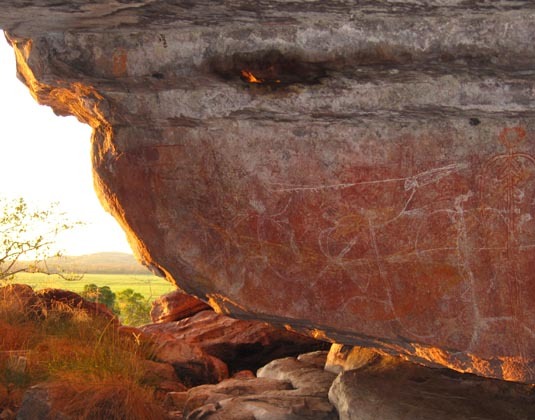 Day 2 Kakadu National Park/Katherine: View mesmerising ancient Aboriginal rock art as you explore the renowned Nourlangie rock art site, which has provided shelter to indigenous people for millennia. 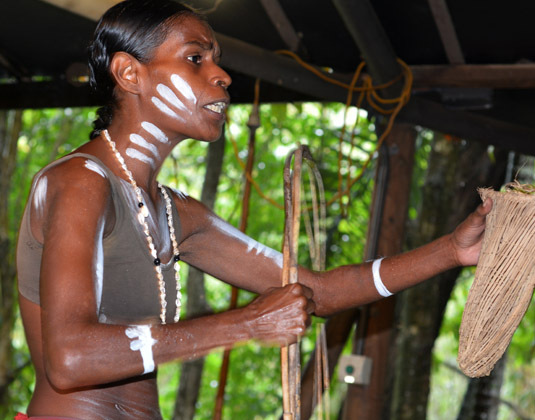 Visit Warradjan Cultural Centre to view informative displays and exhibits and an insight into the local Bininj culture. 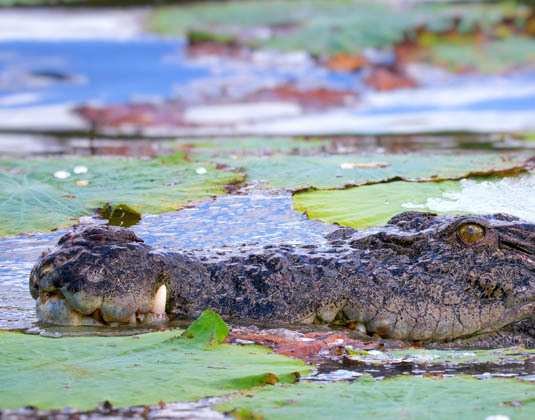 Later, join your local guide for a cruise on the famous Yellow Water Billabong to observe saltwater crocodiles and the colourful diversity of birdlife for which this region is renowned. 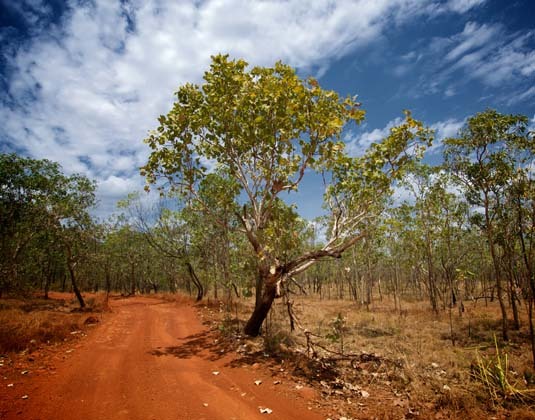 This afternoon, travel to Katherine which is the third largest town in the Northern Territory, often described as the place 'where the outback meets the tropics'. En route you'll stop at Leliyn (Edith Falls) whose pandanus-fringed natural pool is suitable for swimming throughout most of the year (conditions permitting). 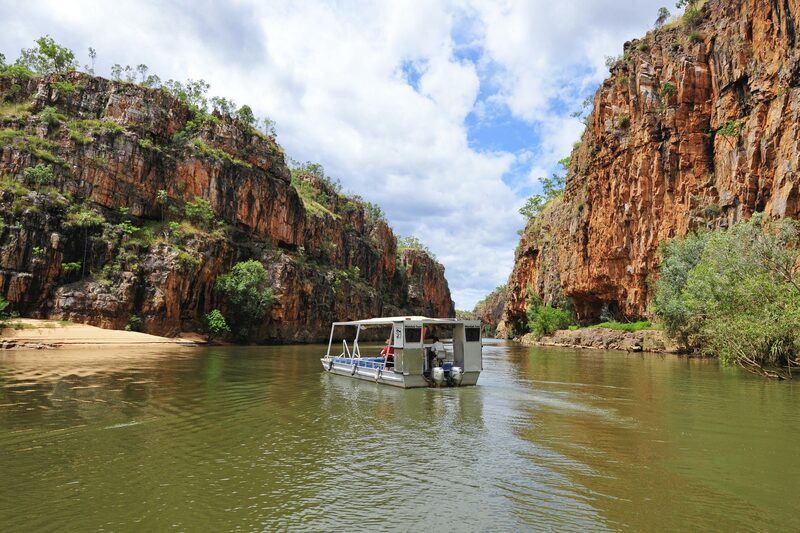 Day 3 Katherine/Darwin: Enjoy an early morning cruise through Katherine Gorge, a stunning network of thirteen gorges carved from billion year old sandstone that are home to many rapids and falls. 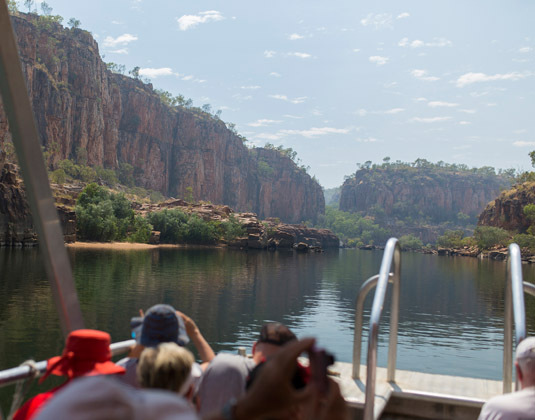 The cruise will put you at the heart of Katherine Gorge among freshwater crocodiles basking in the sun, wonderful birdlife and truly amazing scenery. Afterwards, proceed to the informative Nitmiluk Visitor Centre to view the displays and have the opportunity to purchase artefacts made by the Jawoyn people. Return to Darwin via Pine Creek, an historic gold mining town and then stop at the Adelaide River War Cemetery, the resting place for many of those killed in the WW2 air raids on Darwin. The tour concludes in Darwin early this evening. Departures: Dry Season: Tue & Sat (May-Oct); Green Season: Mon, Thu & Sat (Apr & Nov); Mon & Thu (Dec-Mar). Accommodation: 3* Mercure Kakadu Crocodile; 3* Ibis Styles, Katherine. Meals: Lunch on days 1 & 2. Breakfast on day 3. 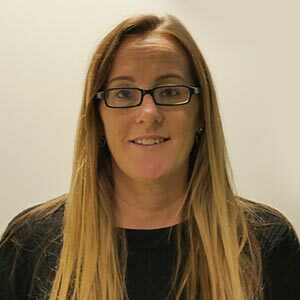 Tour price: The price shown for this AAT Kings tour is based on the best value travel dates in low season and includes accommodation as stated, sightseeing as outlined and services of driver guides (different vehicles and driver guides may be used each day to benefit from their combined experience). 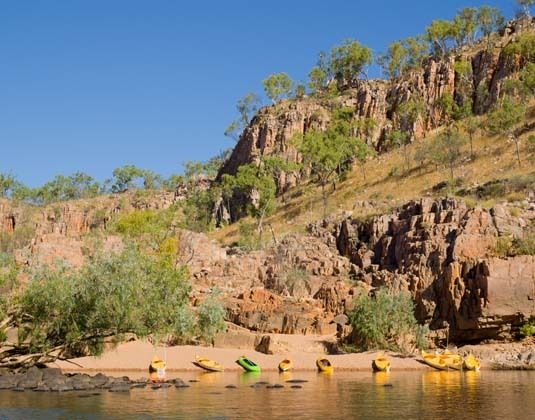 Green season itinerary departs Darwin at 6.30am and returns to Darwin for one night with day excursion to Katherine Gorge. (Order of itinerary varies with day of week).